Despite the abhorrent number of mass shootings that have occurred since Columbine, the NRA continues to oppose ANY legislation that would help keep guns out of the hands of domestic terrorists, criminals, or the mentally ill — devoting millions in contributions to congressional leaders in an effort to halt any any action in Congress that could prevent gun sales. And our leaders have been more than happy to accept the money. Though education and prevention has been crucial in this fight, and the executive action undertaken by the Obama administration is helping to stem the tide of availability, the true solution to this epidemic continues to reside in the hands of lawmakers who willfully choose to do nothing. So, how can the average American citizen help change the tide when they feel powerless to do so? 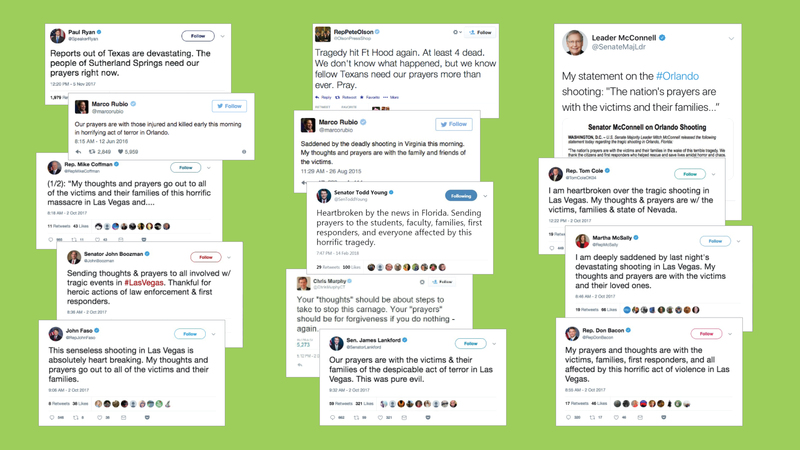 To the troubling realization of millions of Americans, it has seemed that any hope to enact common sense gun laws came to an end when 45 US senators decided that their political campaign contributions were more important than the lives of our nation’s children. 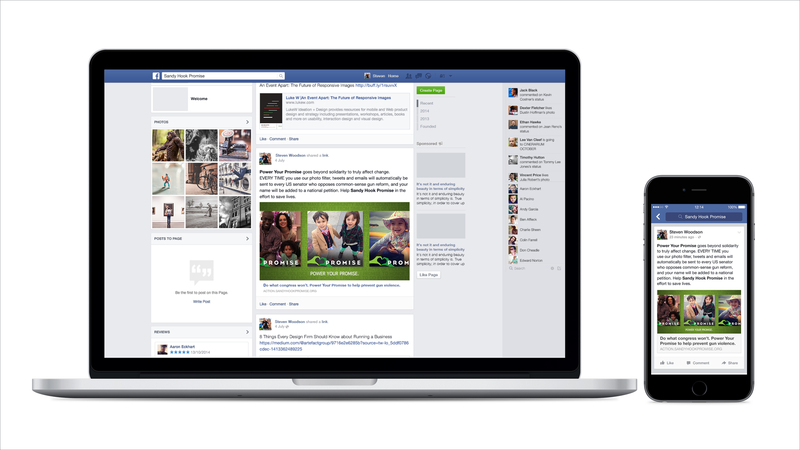 While countless Americans wish they could do more to enact change, apathy has created an environment of “slacktivism” whereby millions feel helpless to do little more than click “like,” post Facebook profile filters, or share their horror, anger, sadness and solidarity on social media. But what if a simple act on social media could turn near-silent clicks into a voice that speaks louder than anyone could ever imagine? 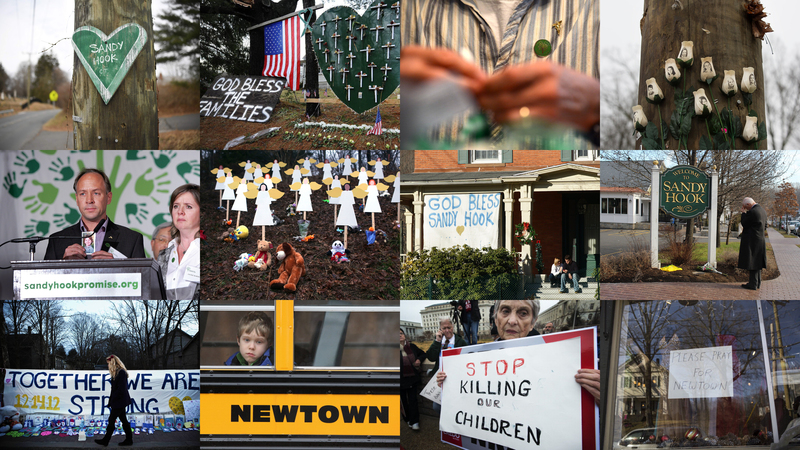 Using Facebook, “Sandy Hook Promise” will help users steel their resolve by creating a digital engagement that will not only drive donations and share support, but voice that support directly to those in D.C. by means of a national petition and direct correspondence — turning what was once a passive digital act, into a revolutionary social movement. 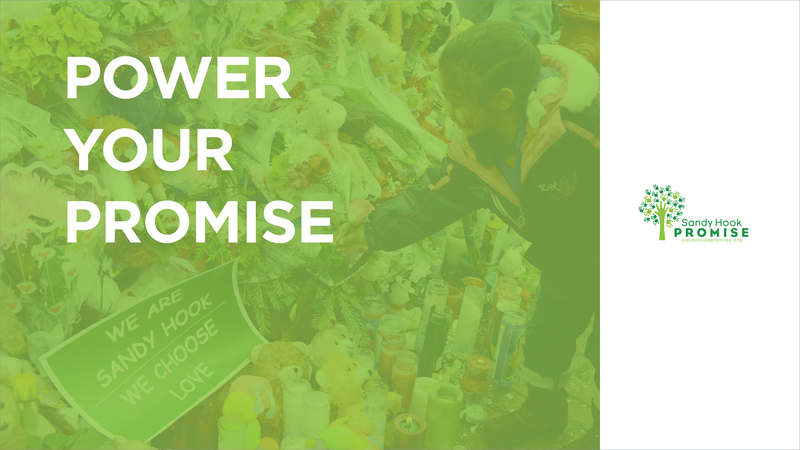 Power Your Promise will drive citizens to SandyHookPromise.org where they will pledge their promise to join the cause, sign a national petition AND download an iconic profile filter to post to their Facebook page. 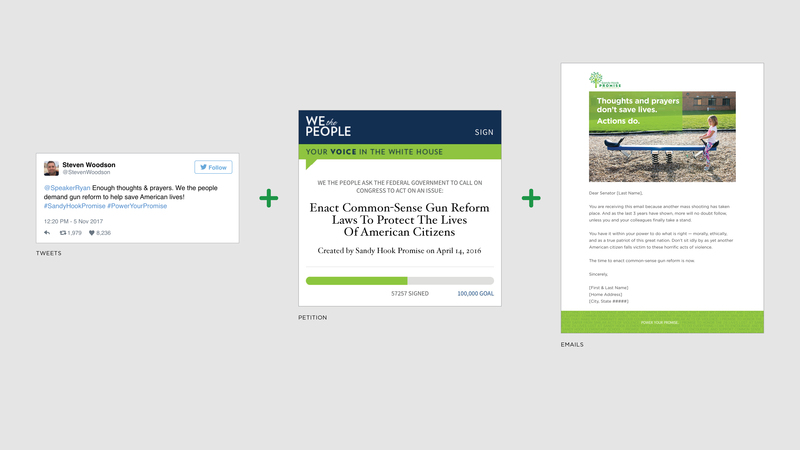 An algorithm will automatically launch an activism campaign on behalf of the user, every time the Facebook filter is employed— blasting pre-written emails and tweets to every US senator who has blocked common sense legislation — flooding the inboxes and twitter feeds of the policy-makers who continue to refuse to enact common-sense policies.